The Marathas were a proud race which were mostly found in Maharashtra, as early as the 7th century. They are first mentioned in the army of Chalukya king Pulikeshin who fought the emperor Harsha in the 7th century and checked his southward expansion. Before the Muslim era, the Maratha dynasty included the Chalukyas from 580 AD to 750 AD, the Rashtrakutas from 758 AD to 978 AD and the Yadavas from 1175 AD to 1318 AD. Ramdev Rai Yadav was the last ruler of the Yadav dynasty who ruled from Devagiri. In the year 1314 when Malik Kafur invaded the Deccan region, Ramdev Rai Yadav fought him but was defeated and hence ended the Muslim free era of the Marathas after which the Marathas accepted their status as being mercenaries under the Muslim overlords. Before the era of Shivaji began, the Marathas were simply mercenaries and revenue collectors for the Muslim rulers. However, they constantly shifted their loyalties from one Muslim ruler to another such as Adil Shah at Bijapur, the Nizam Shahi at Ahmednagar and the Qutub shahi at Golconda. Shivaji's father, Shahaji Bhosale also used this strategy to shift loyalties from one Muslim ruler to another. From time to time he was under the service of the Mughals, the Adil Shahis and the Nizam Shahis but the thought of an independent Maratha Kingdom was always in his mind. Although he did not work towards achieving that goal but this idea was inseminated into his son’s mind by Shahaji Bhosale’d wife, Jijabai, who was the mother of Shivaji. 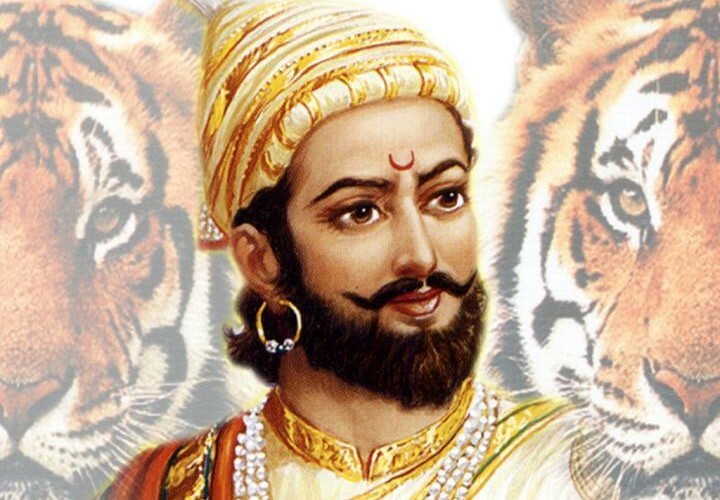 Shivaji was born at Shivneri Fort in Maharashtra in western parts of India in the year 1627. His mother Jija Bai was a direct descendant of the Royal Yadav family which ruled before the Mughal Era. Deep in her mind, she was always convinced and consumed with the idea of an independent state which was lost by her forefathers in the year 1318. She implanted this idea in Shivaji’s mind right from his childhood and encouraged him to put his efforts towards achieving this goal. With his mother’s support and the support of his friends, he decided to take an oath to free his country from the clutches of the Muslim rulers. This oath was taken by him in the year 1645 in a dark cavern which had a small Hindu temple of Lord Shiva and hence marked the beginning of a long and difficult Maratha-Mughal struggle which dragged on for about a century and a half. This struggle ended with the shifting of power from the Mughal Empire to the Marathas. Following up on his oath of an independent state, Shivaji captured the Fort of Tarana which sent ripples in the Adil Shah’s court at Bijapur. The ego of the Muslim rulers was displaced because a local Hindu chieftain had dared to challenge the ultimate might of the Muslims. Therefore, Adil Shah sent his most fearsome general Afzal Khan to either capture Shivaji or kill him. Afzal Khan had a reputation to be ruthless. He was of a stout built and to accomplish his mission of bringing down Shivaji he tried to lure him into the plains by destroying the Hindu temples at Tuljapur, Pandharpur and Shikhar Shinganapur. But Shivaji was more cunning then he thought and he did not fall in his trap. So Afzal Khan had to go up the Hills of Pratapgarh to battle Shivaji. Before the battle began, a meeting took place between Shivaji along with his close group of bodyguards and Afzal Khan. During this meeting,when Afzal khan who was more than 6 feet tall, hugged Shivaji, who stood at about 5 feet, Afzal Khan tried to stab Shivaji in the back. But Shivaji sensed that something was wrong and hence using his tiger claws stabbed Khan in the belly and pulled out his intestines. Afzal Khan screamed in pain and yelled ‘Daga’, which means betrayal. Seeing this, Khan's bodyguard, Sayed Banda tried to come to his general’s rescue and raised his sword at Shivaji. However Shivaji’s bodyguard Jiva Mahalya swiped off Banda’s arm. Santaji Kawji then finished off Afzal Khan and sent him to his final resting place. Afzal Khan’s army was then massacred in the valley by the Marathan troops which was hiding behind every crevice and bush in the jungles around Pratapgarh Fort. This shows the intelligence level of Shivaji who knew that as long as he stayed at Pratapgarh fort and used the jungles around it, Afzal Khan's army won’t stand a chance. For this reason he did not budge from Pratapgarh even when Afzal Khan tried to lure him away into the valley by destroying Hindu temples. This battle was fought on 10th November 1659 and a ‘Kabar’ or grave was erected by Shivaji for Afzal Khan. Afzal Khan was one of the most fearsome generals of Adil Shah. Even after his defeat at Pratapgarh Fort, Adil Shah was still set up on killing Shivaji and hence he sent another general Siddi Johar after him. Siddhi decided to launch a siege on Panhalgarh which went on for several months starting from summers and till after the monsoons. However, Shivaji Maharaj managed to escape Panhalgarh and reached safely at Vishalgad. Now the stories of Shivaji’s escapades had reached Aurangzeb’s ears and he was furious. He ordered his maternal uncle Shaista Khan to crush Shivaji. Shaista Khan was accompanied by a huge and powerful army to Maharashtra where he started destruction of towns, fields, temples and every other thing that came in his path. He provoked Shivaji by setting up camp in Shivaji’s hometown in Pune which was known as Lal Mahal. On top of this, he also set up his harem in Shivaji’s prayer room known as Devgad. Shivaji, although infuriated, but he bid his time for several months and one fine night he put together a small band of Marathan troops and sneaked into the Lal Mahal. He found Shaista Khan sleeping on his bed. When Khan saw Shivaji he tried to jump out the window but Shivaji cut off the fingers with which Shaista Khan was holding the window sill. 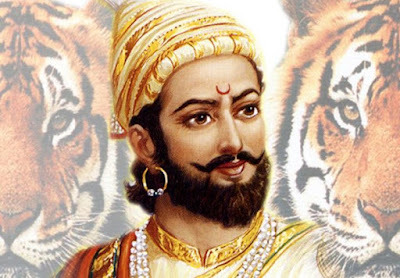 Moved by the pleadings of Shaista Khan's wife, Shivaji spared his life. When Shivaji was returning from Lal Mahal, Khan ordered his troops to go after him and capture Shivaji but he was unsuccessful. After this incident Shaista Khan had had enough and hence returned to Delhi in April 1663.